Sherri Devashrayee Wittwer, a lifelong resident of Salt Lake City, holds a degree in English from the University of Utah. When she lost a son through miscarriage, she began looking for Church books as a source of comfort. "To my surprise," she recalls, "there were no available books that dealt with this specific sort of grief. I desperately wanted answers, and I was sure there must be many others like my husband and me. So the idea of this book was born." In addition to writing, Sherri's loves include reading, cooking, sports, and teaching. She and her husband, David, have two children. I remember this book quite and in fact, I still have it. Back in 1990 I too had a miscarriage and lost a baby boy. This book was given to me from a friend in the Ward who had never experienced something like this. Others kept telling me to get over it and that I would have more children or sometimes this happens. Well, this book helped me on the road to recovery. It gave me great peace and comfort. Until you have experienced something this yourself, you don't really understand and it is so comforting to know about the plan of exaltation to what we can look forward too to be in the arms of our Savior. We were given this book within a few days of our first child's stillbirth at nearly full term. My mom read it immediately in the hospital as we prepared for the funeral. My husband and I read it in the weeks and months to follow. There are a lot of comforting quotes from General Authorities on stillborn and infant deaths. The book did not seem to claim it was espousing doctrine, but providing words of General Authorities in the restored gospel. 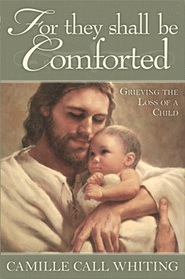 I have since purchased this book and given to other grieving parents. 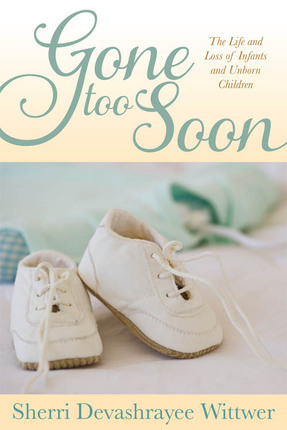 Highly recommended read for anyone associated with or who wants to learn more about infant and unborn children loss. Horrible book. Will cause more hurt than harm and is not doctrinally sound. She tries to claim that all miscarriages mean there is a baby in heaven. There is no doctrine anywhere that says that. If that were true, over 60 percent of God's children wouldn't get a chance at mortal life here. Furthermore, the author writes with a critical tonality. She tries to say all losses are the same: they aren't. Stillbirth and infant loss are far more devastating than miscarriage-- ask any woman who has had the misfortune of experiencing both. The author has only experienced one type of loss: first trimester miscarriage. She does not have the credibility that this sort of book requires. In a final note, she is misleading in her writing. When she says " a mother who has lost five children" what she means to say is "a mother who has had five miscarriages", i doubt the mother has had five stillbirths or infant losses. I bought this for my daughter and her husband when their son was delivered stillborn at 20 weeks. I had not read it prior to buying it, but the description lead me to believe it was just the right book to help them with understanding The Lord's plan for these little ones and their place in his kingdom. She found it a great comfort and gave it to me to read. It is wonderfully comforting. A friend gave me this book after my precious daughter was born still born. This book was perfect in helping to answer my questions and help me through the grieving process. This book was written to address miscarriages, stillborn, and infant death.